The onset of the current “autocephalous” campaign found me working at my desk. More precisely, I was working on the final version of my book “Ukrainian Church on the path to autocephaly”. The texts included in the book were prepared over the years, at the very end there are documents related to the history of self-proclaiming of autocephaly in 1919-1925, i.e. decrees of the Ukrainian People's Republic, resolutions of meetings and councils that proclaimed autocephaly or spoke out for it, etc. The book is most likely to be released sooner than we will know the ending of the chapter “2018: in anticipation of the Tomos” that I have not written yet. Will it be the bestowal by Constantinople of the canonical autocephaly on the Ukrainian Church? 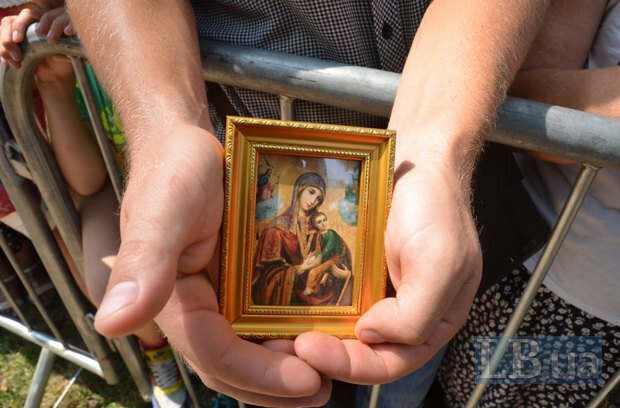 Or yet another historical pause in the solution of the Ukrainian ecclesial issue? But regardless of the results of the decision of the Ecumenical Patriarch, I would like to publicly support the idea of autocephaly of the Ukrainian Church today. I am doing it consciously, being fully aware of all risks this position can pose to me. The fact is that, having analyzed the nearly hundred-year history of the struggle of Ukrainian Orthodox Christians for autocephaly, I realized that there is simply no alternative to the canonical independence of our Church. From the canon law perspective, autocephaly is a technical issue, so to speak. One of its key features from ancient times has been the way of electing the head of a local Church. An autocephalous (“self-headed”) church independently elects its head at a Council. In the autonomous church the head is elected by the local episcopate and is blessed by the Primate of the mother (kirihahal) autocephalous Church. Finally, if the local Church does not enjoy either the rights of autocephaly or the right to self-governance, its head is appointed by decree of the highest ecclesiastical authority. This was the case in the Ukrainian SSR until July 1990, where the Exarch of Ukraine, Metropolitan of Kyiv and Galicia was appointed by the decision of the Synod of the Russian Orthodox Church, of which he was granted the relevant decree by the Patriarch of Moscow. It might seem that the choice between one or another status – autocephaly, autonomy or, for example, the exarchate – is a purely internal church affair. However, in fact, this issue has always been not so much ecclesiastical as church-political in nature. The reasons for this are the following. By the way, most of these paragraphs, which are now present in the Statute of the ROC, had been imposed on the UOC from way back. It was proposed to include them to the Statute of the UOC at the Local Council on June 8, 2011. But the sovereignty of the UOC was then successfully defended by the authority of His Beatitude Metropolitan Volodymyr. Only after his death, the amendments, to which our Church had opposed for so many years, were made at the Council of Bishops in Moscow (November 29 - December 2, 2017). Second: the proof of the church-political nature of the autocephaly issue is the history of formation practically all the newly-emerged local Orthodox Churches. It is no secret that Bulgaria, Serbia and Muscovy fought for the autocephalous Church status, thus trying to become “equals” of the Roman Empire, the historical continuation of which they considered themselves. “We must realize that the Russian Church autocephaly was a manifestation of national and even nationalist consciousness. The Third Rome was not just meant to be a successor of the Second Rome, it had to replace the latter,” His Beatitude Metropolitan Volodymyr (Sabodan) said in his time. Much later, in the XIX century, autocephaly was seen as one of the main tools to sacralize the nation state. An example of this is the latest autocephaly of the Balkan region churches, which were formed after the emergence of national states there. Ukraine is no exception, as it is here that the existence of the Orthodox Church in Moscow’s jurisdiction resulted in the latter’s use of the church entities as an instrument of political influence. Faced with the challenge of politicization of ecclesial life, on December 21, 2007, fifty hierarchs of our UOC condemned at the Council in Kyiv “the so-called political Orthodoxy, which tends to bring political slogans inside the church fencing, as incoherent with the spirit of Christ's sermon.” Alas, after the Council’s condemnation, “political Orthodoxy” has not subsided. It has survived, as, on the one hand, it was required for the imperial interests of the Third Rome, and on the other hand, demanded by pro-Russian politicians, such as V. Yanukovich in the past or MP Vadym Novynskyy nowadays. The problem, however, lies not so much in parachurch fringe groups stupefied by pseudo-Orthodox rhetoric and horror stories about “the time of the end”, who from time to time march through Kyiv under the guise of a religious procession and the slogans of the “Russian world,” but in the fact that such phenomena have been systematically cultivated and supported by Moscow. 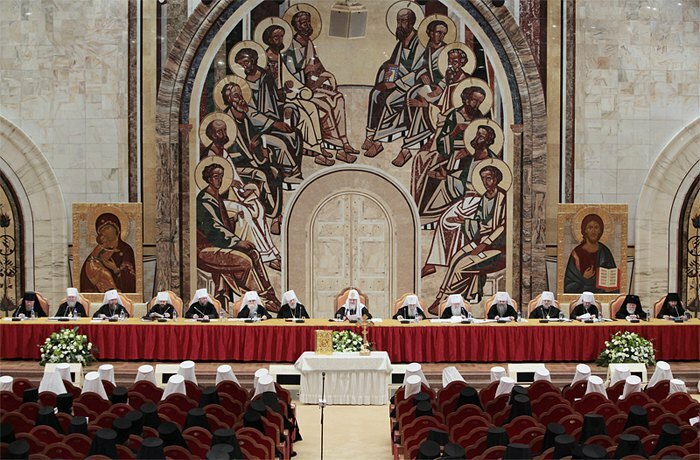 Including the ecclesial Moscow, supporting such figures as Lukiyanik and Anisimov, who are extremely convenient today to the Patriarchate as spokespersons of the UOC. They are convenient, as they have been voicing the church-political messages that are beneficial for the neighbor country. We saw all this with our own eyes and learnt first-hand. The late Metropolitan Volodymyr understood well the danger posed by this type of “religiosity”, putting every possible effort to secure the Ukrainian flock from these phenomena. Alas, today His Beatitude is not with us. Unfortunately, the problems associated with “political Orthodoxy” persist. His Holiness Patriarch Alexy II was sometimes called the “gatherer”. The Patriarch was not an adherent of the idea of the Ukrainian Church autocephaly. Not ruling out such development of events in the future, Patriarch Alexy did not want the separation of the Ukrainian Church from the Moscow Patriarchal Throne to be inscribed in history textbooks as the event that happened in his tenure. Therefore, the Patriarch, on the one hand, was unwilling to grant autocephaly to Ukraine, and on the other hand, he did not particularly prevent Metropolitan Volodymyr, who was well-known for his personal humility, to increase the scope of the canonical rights of the Ukrainian Church. 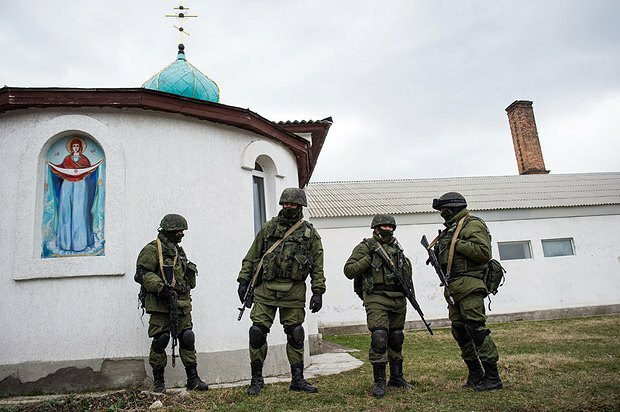 Everything changed on the day when the Kremlin made a decision to prepare for the annexation of Ukraine (or, as an alternative scenario, the annexation of Crimea and the creation of “Novorossia”). We do not know for sure when this decision was made. But we all witnessed the activation of pro-Russian forces in the UOC during the last years of Metropolitan Volodymyr’s life. Both His Beatitude Volodymyr and I could hardly understand what was going on. Why, in fact, is the Russian side so violently and clearly violating the “sovereignty” of the UOC? Why is it trying to impose amendments in the Statute of the UOC, which would have leveled its status as “independent and autonomous in its governance.” Why the effective head of the UOC was literally “pushed out” to retire by threats and blackmail? Why did they impose a new candidate Primate, already absolutely loyal to Moscow - Metropolitan Anthony (Pakanych)? Why many of those who yesterday swore allegiance to Metropolitan Volodymyr were keeping silent, seeing all the lawlessness cimmitted by Yanukovich’s lap-dogs? The answers came later and in an instant… They were voiced by the war. Which side do you choose? That of your people or that of the aggressor state’s Church? “Whether the hierarchs of the UOC like it or not, but this question is frequently asked, sometimes silently, and sometimes loudly, by millions of our compatriots seeing the contemporary church problems. The church was created not to provide a comfortable life for its hierarchs. The sense of the Church’s being is to save human souls. But the salvation of souls is impossible without mutual confidence between the shepherd and the flock, the Church and society. Alas, the Moscow Patriarchate in Ukraine is now experiencing a deep crisis of public confidence. And this crisis of confidence, unfortunately, is not situational but systemic in nature. In particular, the confidence of citizens of Ukraine in the hierarchs of the Moscow Patriarchate and the UOC as an institution is plummeting. This, according to the poll conducted by the Razumkov center, in 2010, Patriarch Kirill was trusted by 44.4% of respondents, and today - only by 15%. Alas, the degree of confidence in the UOC is also declining: if in 2010, 24% of citizens identified themselves with our Church, to date this figure has actually halved. How can these upsetting figures be explained? We live in an information society, where, thanks to the Internet and TV, a hierarch’s word becomes instantly known far beyond the place it was uttered. 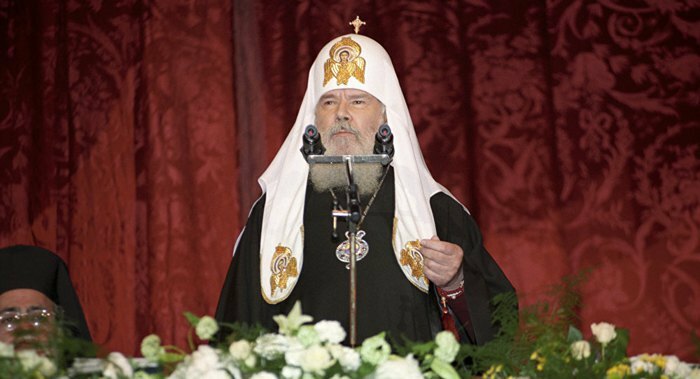 Hierarchs of the Russian Church today assemble “Russian Councils”, they talk a lot about the “Russian world” and “Russian idea.” And much less – about Christ, His Resurrection from the dead and the universal, ecumenical nature of His Church. Behind the words of ideological doctrines, it becomes difficult to hear the main Word of the Church – the Gospel, which, by the way, contains not a single word about the “Russian world.” But there are words about peace of Christ, which He left to His disciples (cf. John 14:18). But can the interests of the earthly kingdoms be more precious to us than the Kingdom of Heaven? “The Russian Orthodox Church today is primarily the Russian Church and only then the Orthodox and the Church,” a Kyivan priest recently said. It is painful to hear such generalizations. But we must admit that unfortunately, such statements really reflect certain tendencies in the Russian ecclesial life ... The ecclesiastical consciousness in modern Russia really demonstrates the phenomenal narrowing of the horizon of thinking. Having yielded to temptation of ethnophyletism, Russian Orthodoxy, unfortunately, ceases to be “only Christianity” right before our eyes, as it tends to be perceived by society as a synonym for the Russian national religion – the religion that, instead of communicating to man a way of life in unity, becomes an instrument of psychological and cultural separation. A crisis of universalism in the Russian ecclesiastical consciousness is in evidence. And this crisis makes historically irreversible the autocephaly of the Ukrainian Orthodox Church with its unique identity and a free and sometimes naïve Ukrainian soul. Thus, due to historical circumstances, the issue of the Ukrainian Church autocephaly turns from an ecclesial issue or, if you like, a church-political one, into a moral issue. On the one hand, it is quite clear today that autocephaly is a unique and non-alternative way to overcome the schism existing in the Orthodox Church in our country. The Ukrainian autocephalous movement is already about a hundred years old. And the most recent church division emerged in August 1989, when the first Orthodox parish in the territory of Ukraine left the jurisdiction of the Russian Church ... Almost three decades have passed since that time. But throughout all these years the Russian Church, unfortunately, has not advanced a single step in the matter of overcoming division, sometimes becoming a factor in the splitting of society. We will classify here also the failed attempt to solve the Ukrainian problem at the last Bishops' Council in Moscow (December 2017). 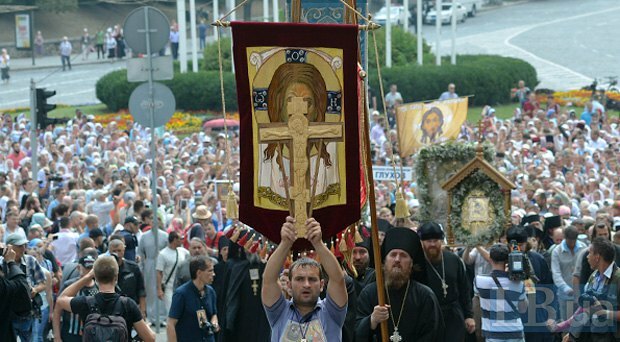 "After the grievous twenty-five years of strife, violence, mutual hostility, resentment and disorganization that have arisen in Ukrainian Orthodoxy and Ukrainian society as a result of the split, there finally appears the opportunity to embark on the path of restoring unity,” the Council’s fathers resolved. But this attempt remained purely verbal… it is difficult to say which decisions were originally planned to be adopted at the last Bishops' Council in Moscow. But it is obvious that, in the end, the leadership of the ROC decided not to submit for the conciliar review the episcopates’ decisions that could really become historical. For example, they could have taken advantage of the peace-loving conciliatory tone of the letter by the head of the UOC-KP and disregard the anathema imposed on Filaret (thereby unblocking the negotiation process with the Kyiv Patriarchate), or stop opposing the idea of the independent canonical being of the ancient Kyivan Church, which, no doubt, would also be a wise Christian act. And together with the Patriarchate of Constantinople participate in the process of bestowal on the Orthodox Church in Ukraine of a legitimate, canonical autocephaly, recognized by universal Orthodoxy. “We will never agree to changing the sacred canonical boundaries of our Church, because Kyiv is the spiritual cradle of Holy Russia, like Mtskheta for Georgia or Kosovo for Serbia,” Patriarch of Moscow and All Russia Kirill said in November 2016. It looks like he gave his final verdict on the possible autocephalous status of the Kyivan Church. But, as life further has proved, there is no alternative to the autocephalous existence of the Ukrainian Church. The Russian Church has always rejected the possibility of the Ukrainian Church autocephaly, pretending that nearly 6.5 thousand Ukrainian Orthodox parishes separated from the Moscow Patriarchate quite occasionally, so to speak, without understanding how broad are the rights that the Kyiv Metropolis enjoys as part of the Russian Church, and proposing to return to the Moscow Patriarchate as the only solution. However, believing that the ecclesial division in Ukraine can be overcome on the basis of the actual status of the UOC is nothing more than a utopia. 50% and 10% - this is basically the ratio between adherents of autocephaly and adherents of the present canonical status of the UOC. 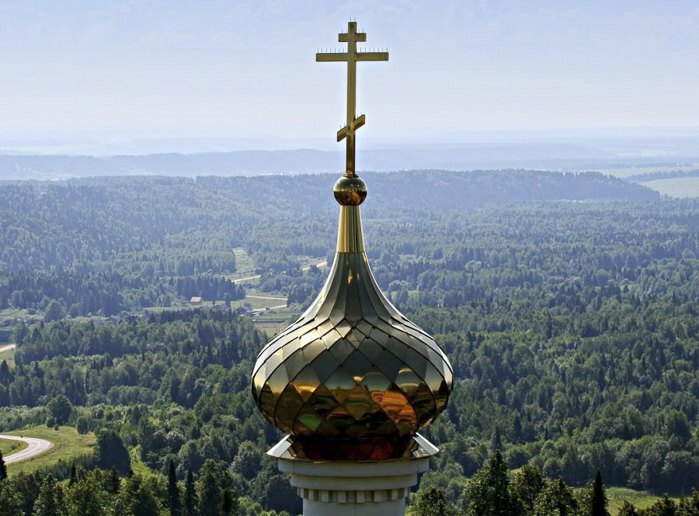 What does the hierarchy of the Russian Church rely on? Does it hope that soon the Ukrainian state will cease to exist and the “schismatics” will be forced to join the Moscow Patriarchate? On Russian tanks getting to Kyiv? It is no secret that loaves of bread some of my colleagues were keeping to meet the “liberators” have already turned into dried crusts ... But as a son and patriot of Ukraine, I do not even theoretically want to consider such historical “alternatives” of autocephaly. On the other hand, the nonalternativity of the autocephalous scenario is also due to the current historical situation. Having attacked Ukraine and annexed part of its territory, the once “elder brother” violated not only the earthly, but eternal divine laws. His soul - the Russian Church, seems to have passed this crime unnoticed. Moreover, the clergy of the Russian Church, alas, also bear certain the responsibility for this crime. Modern Russian ideology is affected by the virus of imperial nationalism. Having grown insanely rich, the political elite dreams of the Soviet empire revival. In this situation, the mission of Christian pastors was to call for spiritual sobriety. The Russian Church had to warn its flock (including the leaders) against the temptation of the imperial idea. The Church had to declare to the state, whose conscience it pretends to embody that the greatness of Russia is not in Russian tanks, nor in threatening the West and occupying other territories, but in the Russian cultural tradition. And at the same time, it should have reminded the Russian political elite that Dugin’s esoteric Eurasianism and Ilyin’s pseudo-Christian doctrine of Russian nationalism constitute the path leading Russia into a semantic and historical impasse ...Unfortunately, having become too close to the state power, the Church could not fulfill this moral obligation. Moreover, it became the vehicle for such ideas. After all, it is not a secret for anyone that the “Russian spring” would have been impossible without the ethnophyletic ideology of the “Russian world”. The very ideology that is being proposed today in the Russian Church from the highest ecclesiastical pulpit. The president and parliament appealed for the bestowal of autocephaly not to Moscow, but to Constantinople. This is unacceptable for the Russian Church, but it is quite logical from but it is quite logical from a historical perspective. 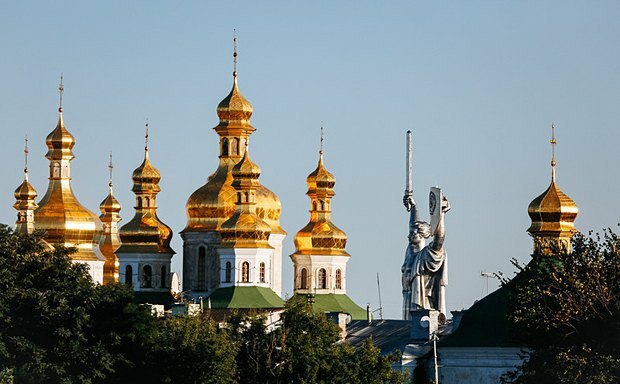 Ukraine has been struggling for its church independence for more than a hundred years. But only today a real opportunity to get the canonical autocephaly (recognized by world Orthodoxy) has emerged. Ukrainian autocephaly was self-proclaimed and requested. For the first time the full church independence of the Ukrainian Church was proclaimed by the “Law on the supreme governance of the Ukrainian Autocephalous Orthodox Conciliar Church” (1919). Later, autocephaly (unfortunately, with a gross violation of the canons) was self-proclaimed at the first All-Ukrainian Council of the UAOC (1921). Only a year later, at the so-called Kyiv Conference (1922), the canonical Ukrainian episcopate, who thus sought to heal the schism, spoke out in favor of autocephaly. However, having been released from home arrest, without knowing the objective information, St Tikhon was not ready to adopt such a decision. “It is not useful and detrimental from the ecclesiastical point of view to split the unity of the Russian Orthodox Church into separate, independent, autocephalous parts ...,” Patriarch Tikhon wrote in his Resolution of January 1, 1924. In this very document, he indicates that he does not bless to put into practice the “autocephalous” decisions of the Council of Orthodox Bishops of All Ukraine of September 7, 1922 ... The split was not healed. And the activities of the UAOC (already with the help of the canonical episcopate of the Polish Church) will be further revived in 1942, in order to move abroad, and only from there it would manage to return to Ukraine in the person of Metropolitan Mstyslav (Skrypnik), the long-time First Hierarch of the UOC in the USA, who on June 5, 1990 year was elected “Ukrainian Patriarch” at the Council of the UAOC in Kyiv. The growth of the UAOC was avalanche-like. In August 1989, the parish of Sts. 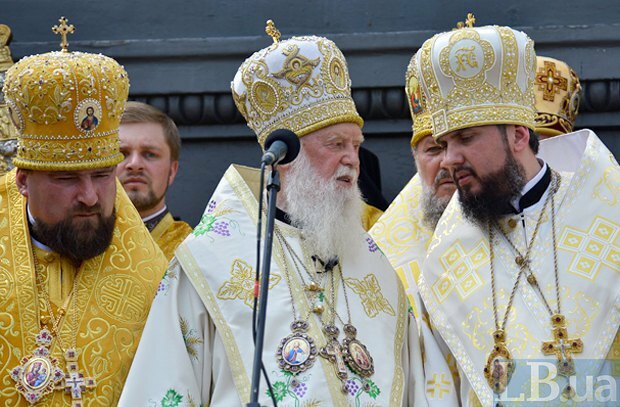 Peter and Paul in Lviv announced it was leaving the jurisdiction of the Moscow Patriarch. And as of January 1, 1991, that is, a year after the revival of the autocephalous movement, the UAOC already numbered 940 communities throughout Ukraine. This is an important figure, considering that the UOC led by Metropolitan Filaret at that time had about 5,000 parishes ... The UAOC was growing. This influenced the position of the UOC and its Primate. On November 1-3, 1991, a legitimate local council of the UOC was convened in Kyiv, adopting a decision on the expediency of autocephalous status for the Ukrainian Church. But, as in 1924, Moscow again fended off this request for autocephaly. 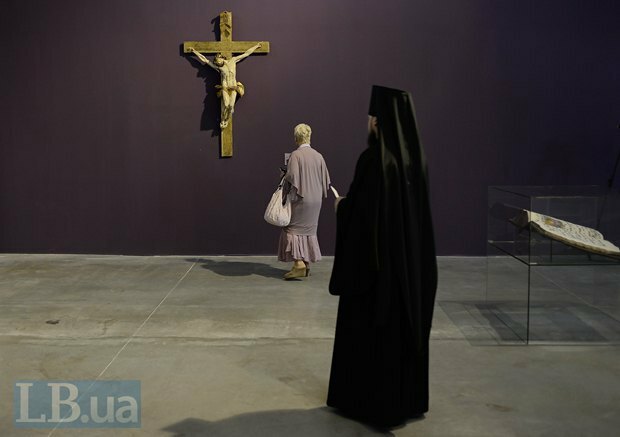 And a large-scale church division once again cast a shadow over the ecclesial life of Ukraine, like in the 1920s and 1930s. There is one more historical fact in favor of turning for autocephaly to Constantinople, and not to the Moscow Patriarchal Throne. Over the past 168 years, Constantinople has proclaimed the autocephalous status of seven local Churches: Church of Greece (1850), Serbian Orthodox Church (1879), Romanian Orthodox Church (1885), Polish Orthodox Church (1924), Albanian Orthodox Church (1937), Bulgarian Orthodox Church (1945), Orthodox Church of the Czech Lands and Slovakia (1998). And all these Churches today enjoy the recognition of the fullness of universal Orthodoxy. There is also a precedent of granting autocephaly based on Moscow's unilateral decision. On April 10, 1970, the Tomos of the Patriarch of Moscow and All Russia granted autocephaly to the Russian Orthodox Greek-Catholic Church in America (the current name of the Church is the Orthodox Church in America). But this autocephaly, bestowed 48 years ago by the Moscow Patriarchate, is still not recognized by the majority of the Local Churches (the Churches of Constantinople, Alexandria, Antioch, Jerusalem, Romania, Cyprus, Greece and Albania). “Why should not the Moscow Patriarchate proclaim the Ukrainian Church autocephaly on its own, without involving Constantinople?” many Orthodox clergymen ask today. But the fact is that the Ukrainian issue cannot be solved in the form of a special operation coordinated with the security agencies of the neighboring people. It is impossible, first of all because people intuitively feel all moral wrongness of such a decision. It is important for Ukraine to create a canonical basis for overcoming the split, which, in fact, the Tomos of autocephaly can become. But for us it is equally important that this autocephaly be recognized by the fullness of universal Orthodoxy, be legitimate and canonical. And here the Moscow-bestowed autocephaly is an absolutely dead-end way. First, in modern historical conditions (when the Russian Church is in captivity with the Russian state), the request for autocephaly is likely to be ignored one more time. Secondly, even if Moscow decides to grant such autocephaly, it will be predictably non-recognized by universal Orthodoxy. And the Ukrainian Church, having formally received its independence, will find itself in actual isolation from universal Orthodoxy (and, consequently, even more dependent on Moscow). The latter never wanted to let the Ukrainian Church go. Moreover, it warned Constantinople several times of breaking prayerful and canonical communication if Constantinople tries to solve the “Ukrainian question” unilaterally. The self-proclaimed autocephaly of the Russian Church (1448) had been unrecognized by Constantinople and the ancient Patriarchates of the East for 141 years. The same fate could await the part of the Ukrainian Orthodoxy, which self-proclaimed its complete canonical independence at the Councils of 1990-1992. Everything changed literally a few months ago, when, as a result of the new cooling in relations between Russia and the West, the influence of the Russian Church and the Russian state on the Local Orthodox Churches became noticeably weaker. Petro Poroshenko is accused of allegedly making the issue of autocephaly part of his election campaign. But in fact, it is a question of a rare coincidence in the history of the two factors that are favorable for the solution of Ukrainian problems: external conditions and the internal political will, that is, the desire of the Head of State to finally put an end to the centenary struggle of Ukraine for its autocephaly. “Yesterday it was too early, and tomorrow it will be too late,” they say in such cases. For quite some time now the Ukrainian state has tried to push forward the “autocephalous” issue. 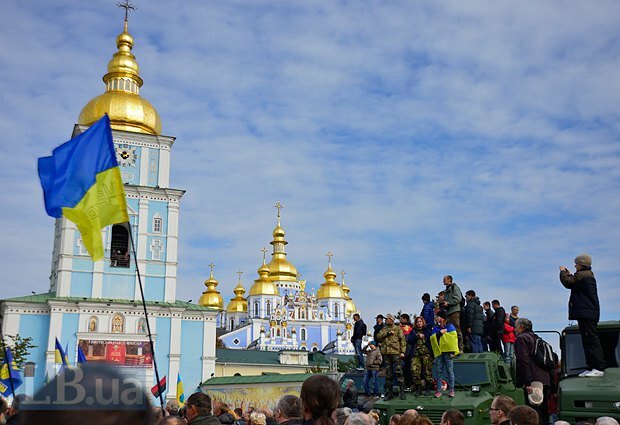 “Independent Ukraine shall have an independent Church,” said Leonid Kravchuk. Leonid Kuchma arrived at the same idea during his second presidential term. “The One Local Church" was constantly referred to by the third president of Ukraine Viktor Yushchenko. But only today there is a historical situation, when the granting of autocephaly to the Ukrainian Church was discussed in earnest in Constantinople and by the rest of the Orthodox world. 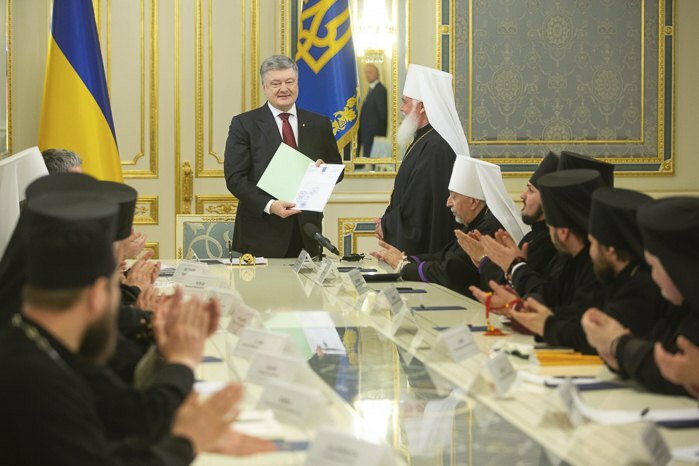 In addition, to the credit of Petro Poroshenko, it should be noted that he (regardless of the huge political risks he is running because of this project) is doing his best today to ensure that the Ukrainian Church finally obtained autocephaly in the new historical conditions. A wonderful ambition, which, I believe, will get the name of the current Head of State inscribed in the history textbooks. But such a large-scale project, significant for Ukraine, can be implemented only through joint effort, relying on the political will of the Head of State and the extensive support from the divided Ukrainian Orthodoxy that seeks unity. I have no doubt that the Head of State's initiative of autocephaly deserves to be supported, but not because it promises any benefits for the hierarchs involved in this process. And not in order that the Orthodox Church may receive a number of benefits from the state in this case (after all, as we see from the experience of the Russian Church, too close a union between the state and the Church is detrimental primarily to the Church, which thus loses its independence). The initiative of the Head of State should be supported, because, from a moral perspective, there is no alternative to autocephaly. After all, only autocephaly can now become an instrument for the restoration of unity, allowing, firstly, to overcome the consequences of the tragic schism in Ukrainian Orthodoxy, and secondly, to restore the relations of confidence between the Church and the Ukrainian society.